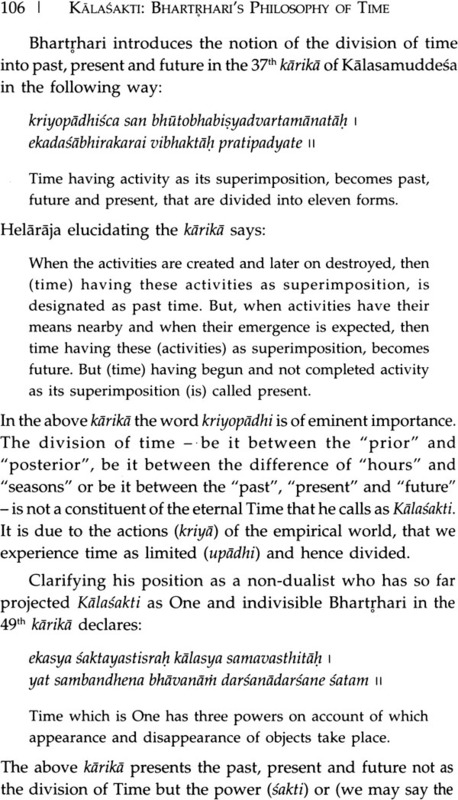 The volume delves into Bhartrhari’s conception of Time as power (Kalasakti) as enunciated in the ninth section of the third Canto of his Vakyapadiya, entitled Kala Samuddesa. 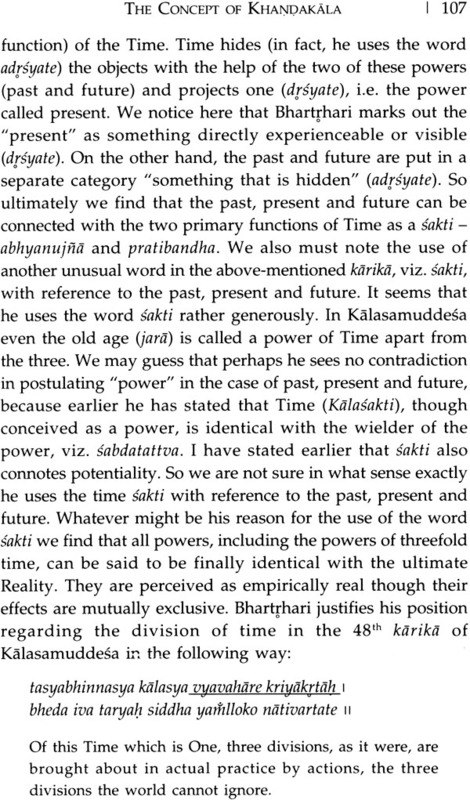 Prof. Patnaik tries to argue that Time as the "power" (Kalasakti) serves as an important conceptual tool for Bhartrhari to maintain his non-dualistic position, both in the level of ontology as well as semantics. 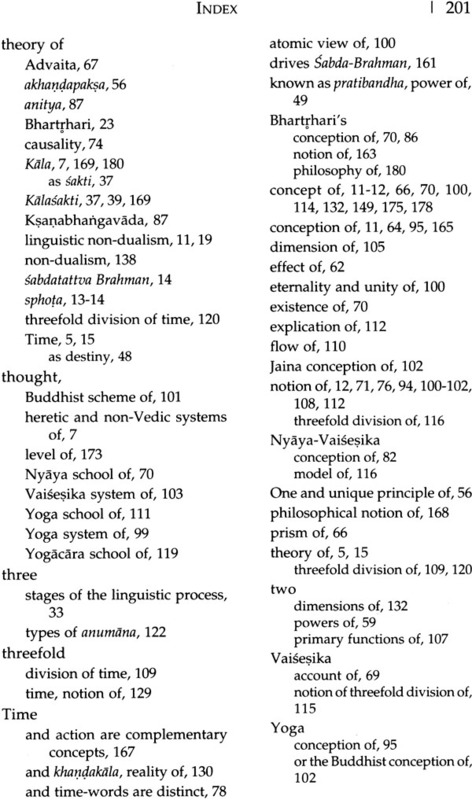 The book examines the Bhartrharian model of Kala as sakti in the backdrop of two other models available in the Indian philosophical tradition - Time as substance (Vaisesika and Nyaya Darsana), on the one hand, and Time as a tom (ksana / svalaksanas) of the Yoga and Sautrantika Buddhism. 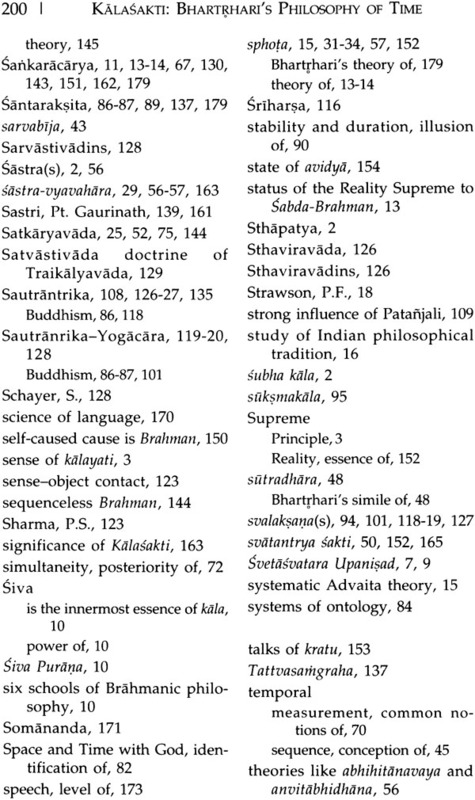 Whether Kala is admitted as an abstract and trans-empirical principle (Kala) or just as a measurable unit of events, no philosophical tradition has been able to discard its semantic role. This is evident from our usage of tense-words. 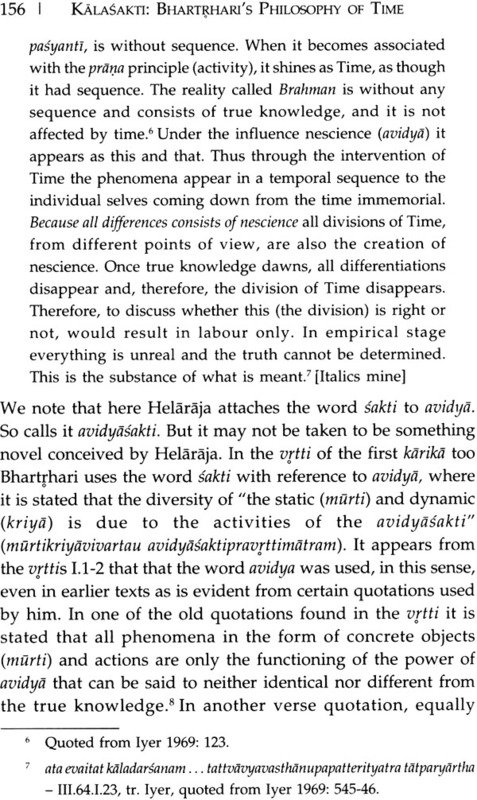 But this double-valued nature of time as a metaphysical principle and as a semantic apparatus comes out most explicitly in Bhartrhari's analysis of time as a power. 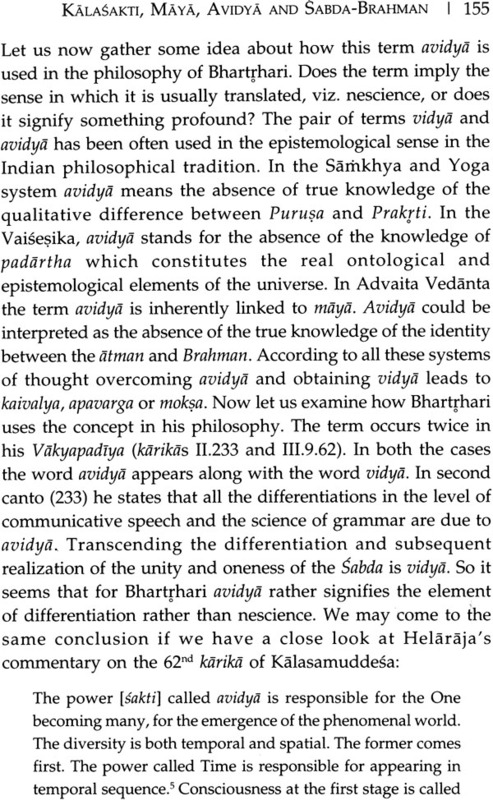 In his unflinching non-dualistic (advaitin) stand - both in the level of metaphysics as well as semantics - Kala serves as an important conceptual link between unity and diversity; unchanged and the changing. 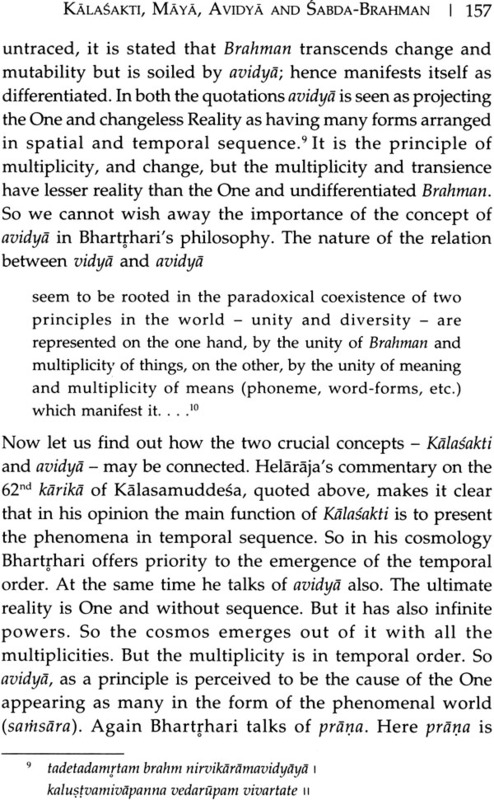 Kala also has the point of convergence between the two streams of philosophy - metaphysics and semantics. The book is rare in nature, both in content and accessability, as there is very little literature available on the topics discussed in the book. The paucity of materials in the area of thought makes it a scholar's collection. Tandra Patnaik (b. 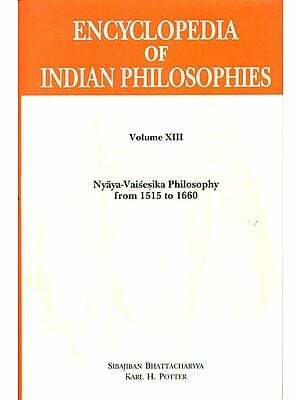 1947), the author of Sabda: A Study of Bhartrhari's Philosophy of Language and Sunya Purusa: Bauddha Vaisnavism of Orissa, combines in her the scholarship of both Indian and Western philosophy as well as the study of regional philosophical texts. Her passion for treading into the uncharted areas of philosophical literature finds outlet in the study of Bhartrhari's theory of Kala (Time) as Sakti (power). A researcher for more than forty years, the author of five books on Indian and Western philosophy, four edited volumes and numerous research papers to her credit, Dr Patnaik has been the recipient of ICPR Senior Fellowship and UGC Emeritus Fellowship after her retirement in 2007. She has been nominated as a member of the Indian Council of Philosophical Research (ICPR) during 1995-98 and nominated again as a member of the Governing Body of ICPR since 2013. She continues her research work with relentless zeal. 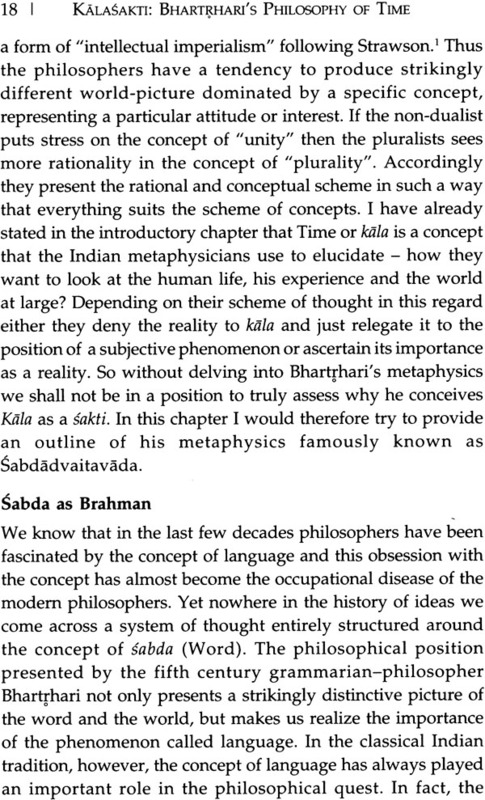 WHILE working on the manuscript of a book Sabda: A Study of Bhartrhari's Philosophy of Language, I felt quite uncomfortable with the idea of kala (Time). 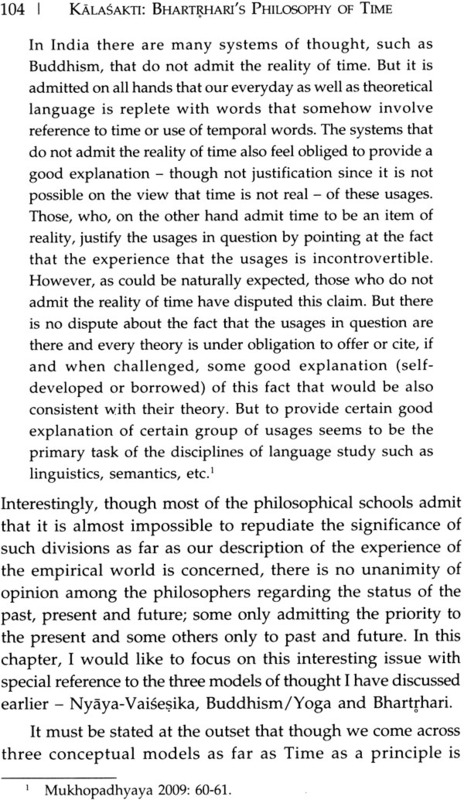 My problem was how to accommodate this concept within the scope of philosophy of language. My training in Western philosophy of language created a sort of mental block, for all along I had entertained a dogma that "time" as a concept properly belongs to the area of metaphysics and it has nothing to do with our understanding of how language as principle functions. 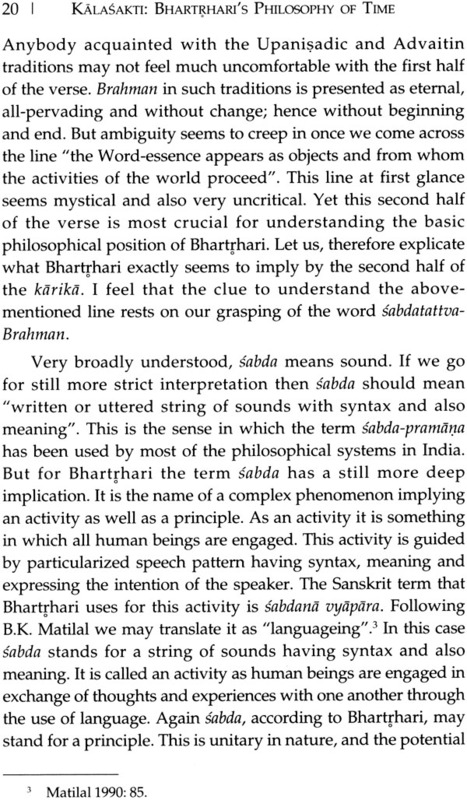 But sooner I realized that the Indian philosophical tradition looks at "language" from a different perspective than the Western way of viewing it. Our tradition focuses primarily on language as "speech". So we pay attention to certain issues that is yet to draw the attention of the Western thinkers. Our philosophers hotly debate about how the hearer grasps the "sense" as the speaker utters the words in a sequence. The peculiar nature of our speech is that it cannot be uttered as whole. By the time we utter the first syllable it is lost and is replaced by the next syllable, and the process goes on till the .whole utterance is completed. This automatically leads us to the notion of sequence and then to time. 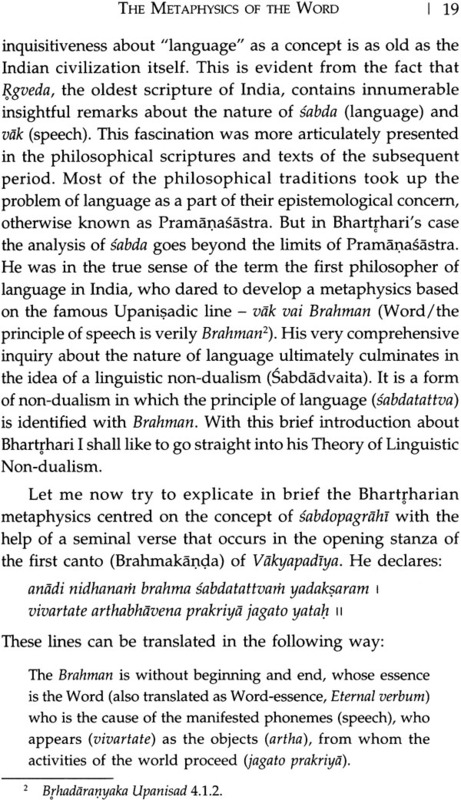 Gradually I realized that Bhartrhari's analysis of language remains incomplete without his metaphysics, that again is woven around the principle of "language". This also helped me to uproot another deep-seated bias that academic philosophers need not tread into the area of metaphysics. I realized that there is nothing to feel apologetic about going deep into the metaphysical issues. 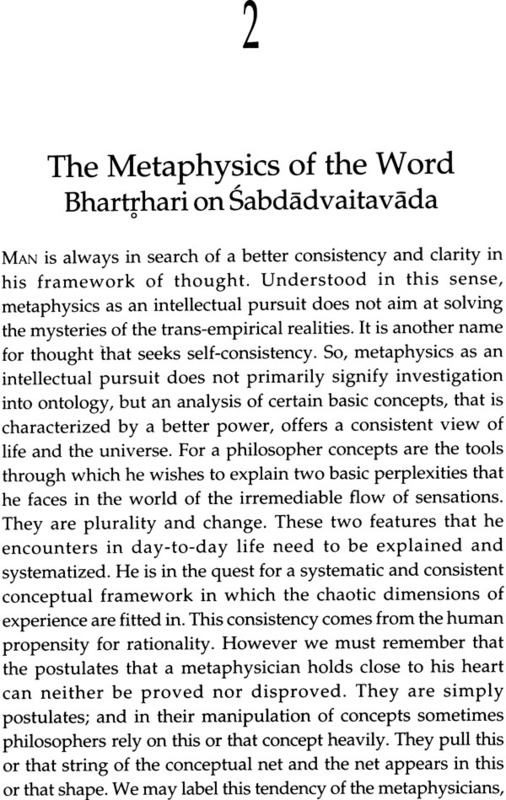 I chose the theme Kalasakti as I hoped to examine the concept both from metaphysical as well as semantic dimensions. But the choice of the topic posed a huge challenge for me. There was enormous paucity of literature on this area of study in English. 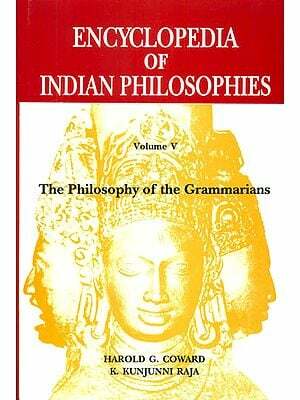 As such the concept of time in Indian philosophy has not got the attention of the scholars that it deserves. But in the case of Bhartrhari, the state of affairs is still disturbing. 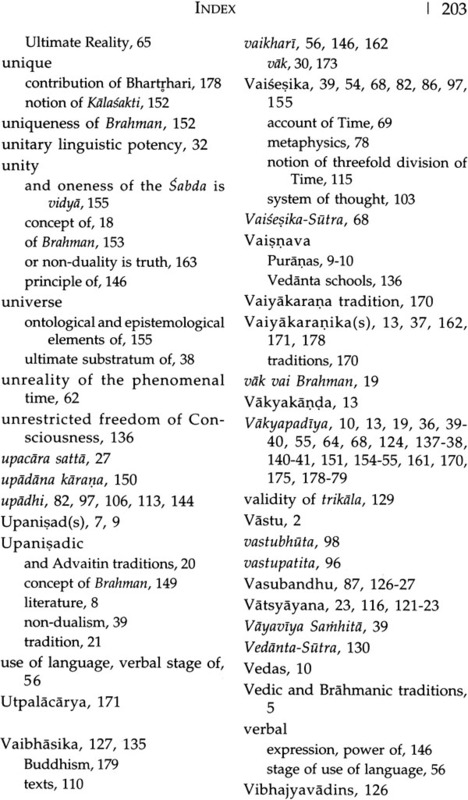 There is virtually no book on Kalasakti. 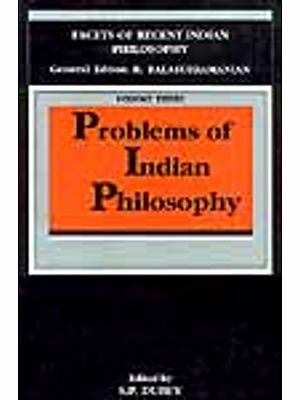 The only works that could be of some help were the translation of Kalasamuddesa by P.S. Sharma and the translation of K.A.S lyer along with the other Samuddesa's of the Prakirna-kanda of Vakyapadiya. Even the Bengali book Bhartrharir Darsane Kalerdhara by P.K Majumdar is also a Bengali translation of Kalasamuddesa with Helaraja's commentary. 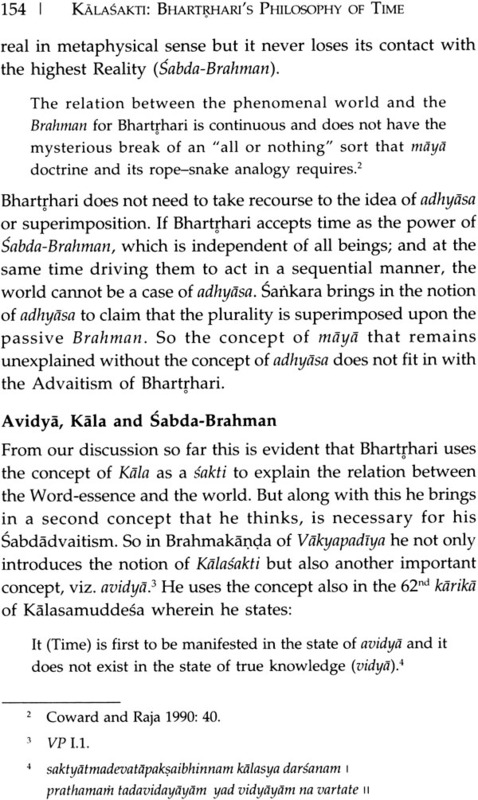 There are also very few papers published on the concept of Kalasakti of Bhartrhari So my task was really challenging. At the same time I found it worthwhile to undertake it. Initially, the project was undertaken as the UGC Emeritus Fellow. But I needed more time to go into the depth of the topic. My sickness for the last five months had given me enough scope to go through the work as I was spared of all the household responsibilities. I am grateful to my son Prof. Priyadarshi Patnaik for his suggestion that this could be the right opportunity for me to keep me happy. My daughter-in- law Arundhati, my husband Madan Mohan Patnaik and my granddaughter Pihu saw to it that I finish my task without any hassles. I am grateful to them. My sincerest gratitude to Susheel Mittal of D.K Printworld who stood by me in my travails of life; and his willingness to publish the manuscript. TIME as a concept permeates our life. We talk of time both in generic sense like "only time will tell", "time and tide waits for none", etc. as well as in particularized sense like "what is the time now? ", "how much time it will take to travel from Delhi to Mumbai?". Despite such recurrent use in the wide spheres of activity based on the notion of time, the question - What is Time? - may seem to be the most perplexing one even for the most systematic thinker, not only Indian but any thinking human person in general. The concept is too common yet equally too subtle for a definite human thought and expression. Here I would like to quote St Augustine who very aptly voices the bewilderment of a man faced with the question - What is Time? In Indian tradition the word time that is mostly referred to as kala2 is much more complex. Every aspect of an Indian life including birth and death, marriage and matchmaking, journey and beginning of any activity is determined by kala - auspicious time (subha kala) and (asubha kala). 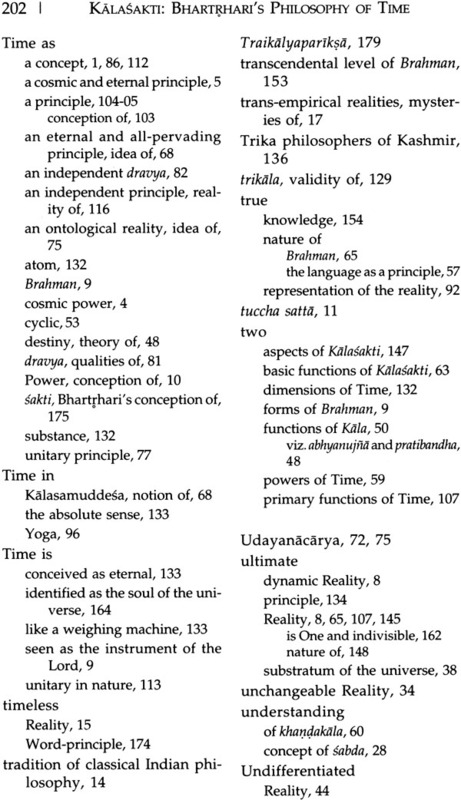 A number of other words like samaya, rtu, vela, ksana and muhuria are also used to refer to this aspect of time. The concept of kala has played a key role in Indian culture - literature, astronomy, social and religious life as well as in philosophy. In India there existed different Sastras (sciences) that dealt with the phenomenal time, such as Vyakarana (grammar), Jyotisa (astronomy and astrology), Dharma and Niti (precepts), Vastu (architecture), Sangita (music), Citra (painting), Sthapatya (sculpture), Ayurveda (medicine), etc. Interestingly, in our tradition the word kala is again used to epitomize the Time personified like Time as death, Time as the supreme reality, Time as a cycle, Time as destiny and so forth. 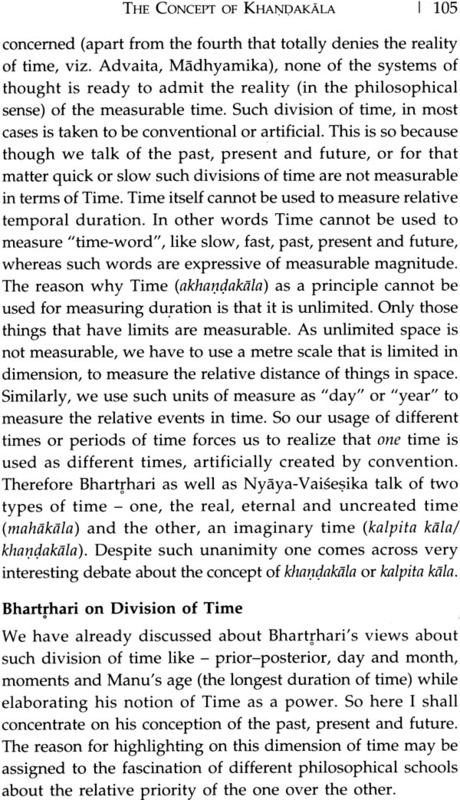 In the Indian context the problem is doubly perplexing when the philosophers and thinkers try to relate time (the measurable, durable/non- durable phenomenon of the phenomenal world) with the Time that is beyond measurement, beyond division and beyond calculable duration. The problem specifically haunts varied metaphysical and religious systems that come forward to handle this baffling issue with equal disparity depending on their favoured metaphysical stance.